It’s wet or it’s cold. You want to get out of the house and show your kids some art. But museums are notoriously no-touch zones, and who wants to pony up for admission only to have a screaming toddler cut the visit short? 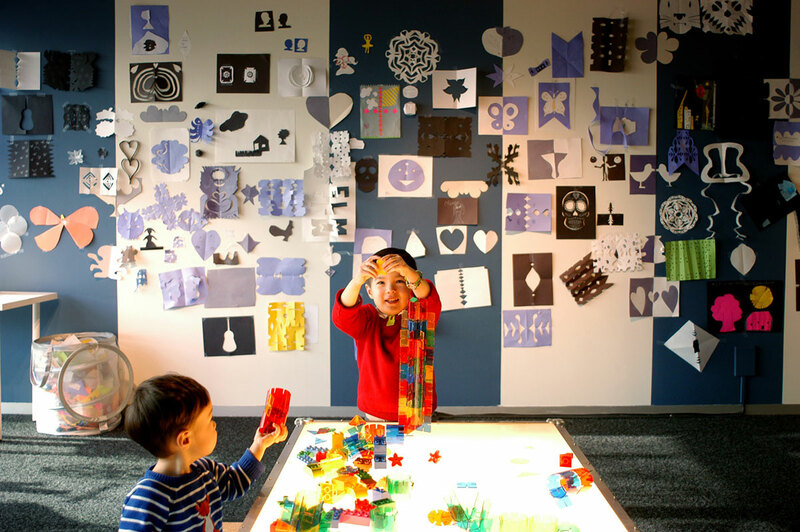 But did you know that many Seattle-area museums offer art spaces — some available free of charge — and other programs that encourage crafting, art exploration and sensory fun? We've rounded up some family- and wallet-friendly options in town to brighten up your winter. Admission and free days: $14.95–$24.95; free for kids 12 and under. Lobby art spaces are always free. Note: Free first Saturdays are on temporarily on hiatus until the Asian Art Museum reopens in fall 2019. What to do: The most amazing thing about Seattle Art Museum’s free lobby space is how huge it is. Come in through the entrance at First Avenue and University Street and pay admission only for the upper two floors of galleries (which are tough to browse with grabby children anyway), and the entire lower level is free. Toddlers will love exploring the toy-filled terrace outside the museum restaurant and climbing the grand staircase punctuated by Chinese marble statues. For school-age kids, there’s an open studio stocked with art supplies halfway up the staircase and a “think tank” at the top where they’re invited to leave a message. 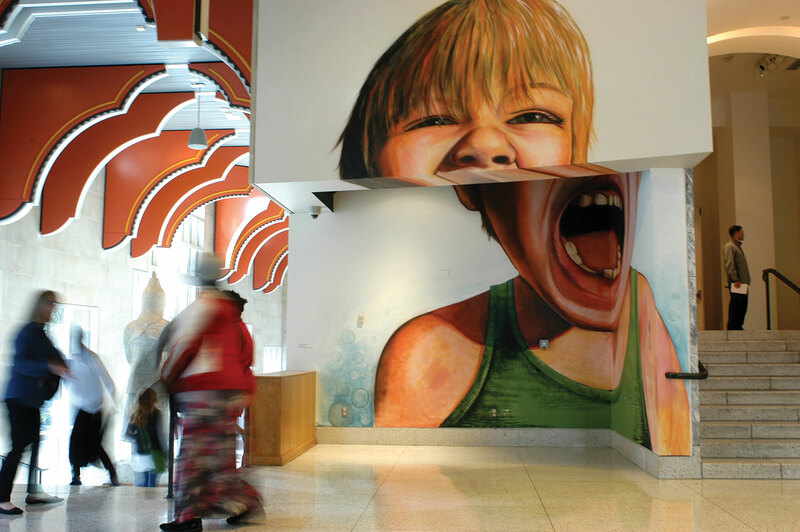 Bonus: Look for the wheelchair ramp winding around the think tank — there’s a surprise mural inside. More fun: If you want to visit the upstairs galleries with your PEPS peeps or another group, request free community passes on the museum website. Info: Open Wednesday–Sunday, 10 a.m.–5 p.m. (Thursday 10 a.m.–9 p.m.). 1300 First Ave., Seattle. What to do: Located in a beautifully restored historic building in Seattle’s Chinatown-International District, this museum is dedicated to Asian-American history and art. On First Thursdays, the museum’s free admission day, sit in for toddler story time at 11 a.m., followed by an art activity. Look for the colorful room just for small children tucked in the galleries upstairs. Parents and school-age kids might want to sign up for one of a slew of themed tours that explore the International District (most are additional cost), from “Bruce Lee’s Chinatown” to seasonal food tours such as a dumpling crawl. More fun: The Wing’s new exhibit, A Dragon Lives Here, builds upon the museum's current Bruce Lee exhibit showcasing how his Seattle roots played a large part in shaping his epic work in martial arts. Find memorabilia, photos and videos. Info: Open Tuesday–Sunday, 10 a.m.–5 p.m. (First Thursday, 10 a.m.–8 p.m.). 719 S. King St., Seattle. Admission and free days: $5–$15, kids ages 5 and under are free. The museum is free on First Fridays, and the first floor of Bellevue Arts Museum (BAM) is always free. 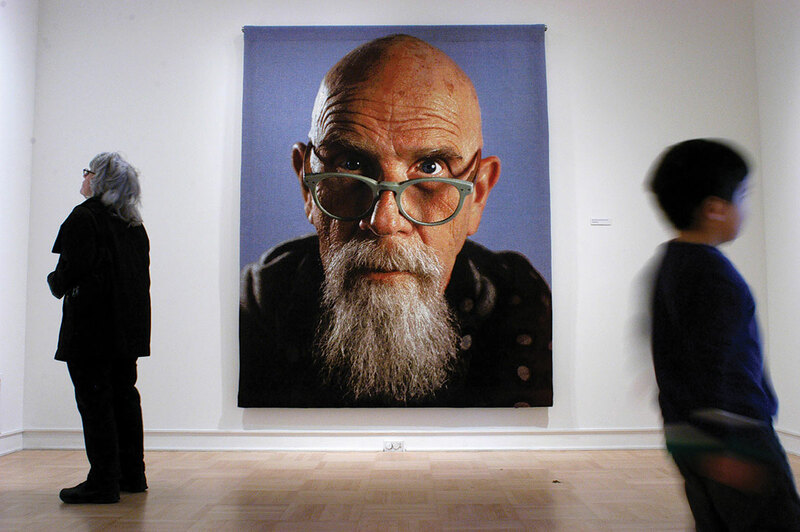 What to do: Bellevue Arts Museum’s ground floor is completely free. It won’t cost you a penny to see Aaron Haba’s show-stopping mobile in the center of the atrium, the community education gallery and an art activity area tucked in back. But it’s worth your museum dollars to visit the two upper levels of galleries. Each floor has its own “Imagination Station,” where visitors can cut, draw and create, and the activities change with different shows. New projects for this year include designing a modern quilt square, creating a mini sculpture out of repurposed items and learning about the many forms of glass. More fun: Almost every Saturday afternoon from 1 to 3 p.m., the museum hosts a drop-in “Get Crafty” activity in its lobby. You don’t need to pay museum admission, just a small materials fee, to participate. Info: Open Wednesday–Sunday, 11 a.m.–5 p.m.; free First Friday, 11 a.m.–8 p.m. 510 Bellevue Way N.E., Bellevue. Admission and free days: $6–$10; children 10 and under always free. The Henry is free every Sunday and on First Thursdays. What to do: Visit this small, friendly contemporary art museum on the University of Washington campus on a Sunday, when admission and parking (inside the UW Central Parking Garage next door) are free. A must-do activity at the museum is to cross the bridge to the James Turrell Skyspace, an outdoor, circular room with a wood-paneled interior and a retractable roof that allows an ever-changing view of the sky. It is incredibly peaceful, like being inside a private fort. 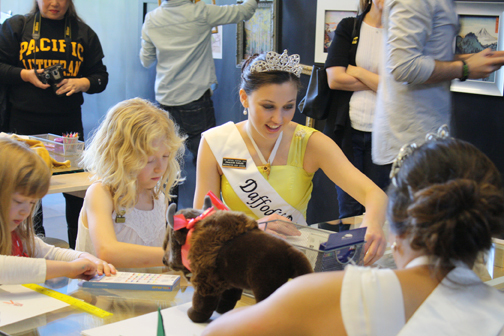 Sweeten the deal by visiting on the second Sunday of the month to participate in a free drop-in ArtVenture program for families. More fun: Stop by the University of Washington’s famed Suzzallo Library, which looks like something out of Hogwarts. Info: Open Wednesday–Sunday, 11 a.m.–4 p.m. (Thursday, 11 a.m.–9 p.m.). 15th Ave. N.E. and N.E. 41st St., Seattle. Admission and free days: The Frye is always free. What to do: At First Hill’s free art museum, go see the gallery where paintings are hung “salon-style,” like a giant jigsaw puzzle, filling the walls from floor to ceiling. It’s how art was displayed at the home of the Frye’s namesake patrons, Charles and Emma Frye, almost a century ago. The gallery is a visual feast from the ground up. My two kids and I love to play “I spy,” looking for ducks, horses, boats, flowers — all objects small children can identify in the paintings. More fun: The Frye also hosts one of the best kids’ art activities in town, “Small Frye”: On the first Friday of each month, kids ages 3–5 can watch storytellers from Seattle Children’s Theatre perform in the galleries, then create a project with the Frye’s art educators in the studio upstairs. Cost is free but register online. Info: Open Tuesday–Sunday 11 a.m.–5 p.m. (Thursday, 11 a.m.–7 p.m.). 704 Terry Ave., Seattle. Admission and free days: Admission $13–$15; $40/family; kids 5 and under free. Free on Third Thursdays, and other discounted days. 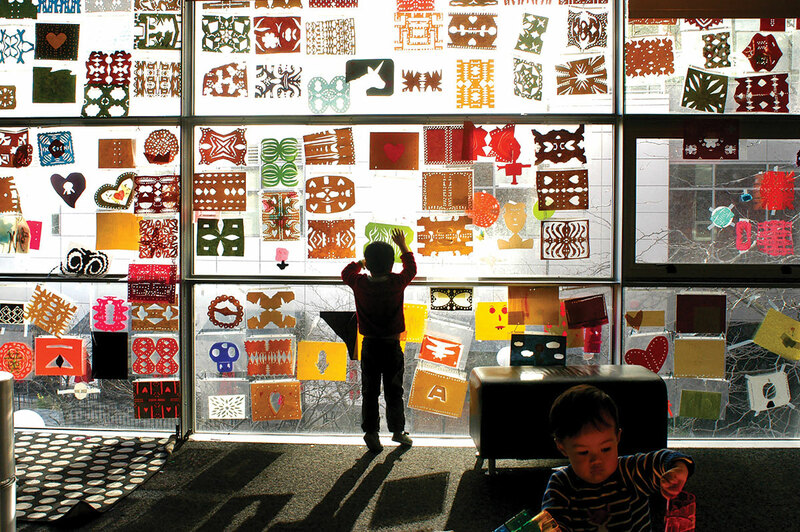 Also: Tacoma Art Museum has a brand-new program with the Children's Museum of Tacoma, where up to 500 families annually can receive free entry to TAM after visiting the nearby Children's Museum of Tacoma. What to do: When Tacoma Art Museum (TAM) expanded in 2014, it moved the art studio just off the lobby and made the studio free admission all the time, with easily accessible art supplies and inspiration. “It’s for adults, it’s for kids, everyone from babies to grandmas,” says Britt Board, TAM’s community engagement and studio program manager. While you’re at TAM, browse the other exhibits dedicated to Impressionist and Western art. More fun: When your kids are done creating, take a (free) walk farther down Pacific Avenue over the Bridge of Glass to get your fill of Chihuly. Or play at the nearby Children’s Museum of Tacoma, where admission is by pay-what-you-will every day. Info: Open Tuesday–Sunday 10 a.m.–5 p.m. (free Third Thursday 5–8 p.m.). 1701 Pacific Ave., Tacoma. While the Seattle Asian Art Museum is closed for a two-year renovation, you can still find fun in and near its Volunteer Park home. SAAM will hold occasional events at venues throughout Seattle and The Gardner Center for Asian Art and Ideas is offering programs while the Asian Art Museum is closed. If you visit Volunteer Park during the museum's closure, you can still admire the museum's jewel of an Art Deco building, originally the home of the Seattle Art Museum, and study the pair of stately Bactrian (two-humped) camel statues that sit at the front door. More fun: The gorgeous Volunteer Park Conservatory is located on the north end of the park, and its free days are first Thursdays and first Saturdays. Or make the short walk to Lake View Cemetery, where you can see Bruce Lee’s grave. Info: Check the SAAM calendar (filter for SAAM and off-site events) for happenings during the renovation closure. The Volunteer Park Conservatory is open Tuesday–Sunday, 10 a.m.–4 p.m. Admission is $2–$4; kids 11 and under are free. No matter what age your kids are, have a conversation before going. Give kids a heads-up there may be things they want to touch, but can’t. Talk through the reasons. 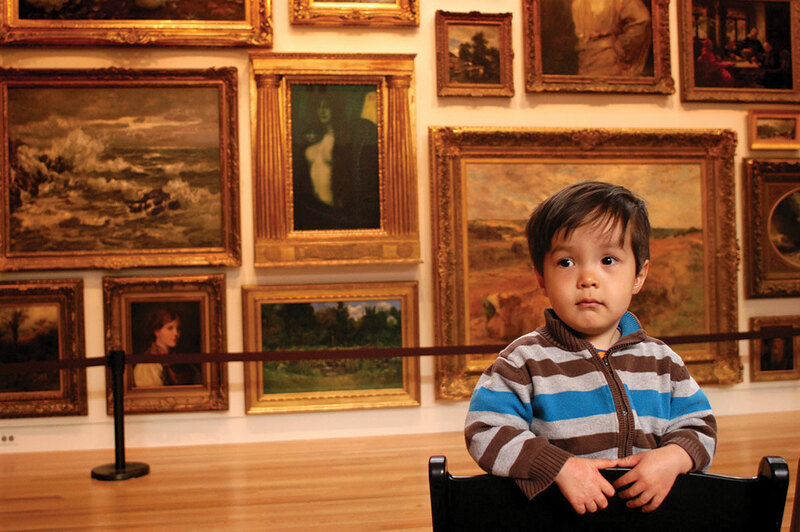 In no-touch galleries, hold hands, put hands in pockets or bring a favorite toy your child can hold. Sketching in galleries is encouraged! Bring a little notebook and pencil. Make walking through galleries a game. For bigger kids, use brochures as a scavenger hunt. Small children can look for faces, shapes or colors. Keep the visit short and self-directed. Ask your child what he’s interested in, what he’d like to look at. Engage your kids by having them move like a painting or pose like a sculpture. You can always bring a stroller in to help corral your kids and keep them moving. Be aware of where the bathrooms and family spaces are for when you need a break.